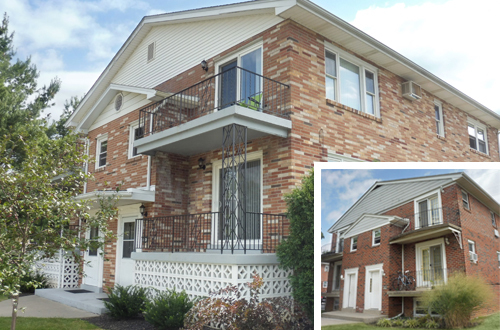 Bethlehem Apartments is a 24-unit garden-style apartment community in Bethlehem, PA. The asset sold in June 2017 for $2,040,000. BETHLEHEM, Pa., June 5, 2017 – Marcus & Millichap (NYSE: MMI), a leading commercial real estate investment services firm with offices throughout the United States and Canada, announced the sale of Bethlehem Apartments, a 24-unit garden-style apartment community in Bethlehem, Pa. The asset sold for $2,040,000. “The new owner plans to continue a renovation program on the apartments to meet competitive rents in this submarket of Bethlehem,” says Daniel Bernard, an associate in the firm’s Philadelphia office. Bernard, teamed with Ridge MacLaren, senior vice president investments, Andrew Townsend, first vice president investments, and Clarke Talone, first vice president investments, all in the firm’s Philadelphia office, to market the property on behalf of the seller and procured the buyer. Brenton Baskin, served as Marcus & Millichap’s broker of record on the transaction. Bethlehem Apartments is located at 1872 Livingston Street in Bethlehem, Pa., off of Stefko Boulevard. The apartment community consists of 24-units in eight buildings, a mix of studios and two-bedroom apartments. “Demand for multifamily properties in the Lehigh Valley continues to outpace supply. We have seen a tremendous amount of capital looking for investments locally,” adds Talone.